There is no age limit to an excellent model. 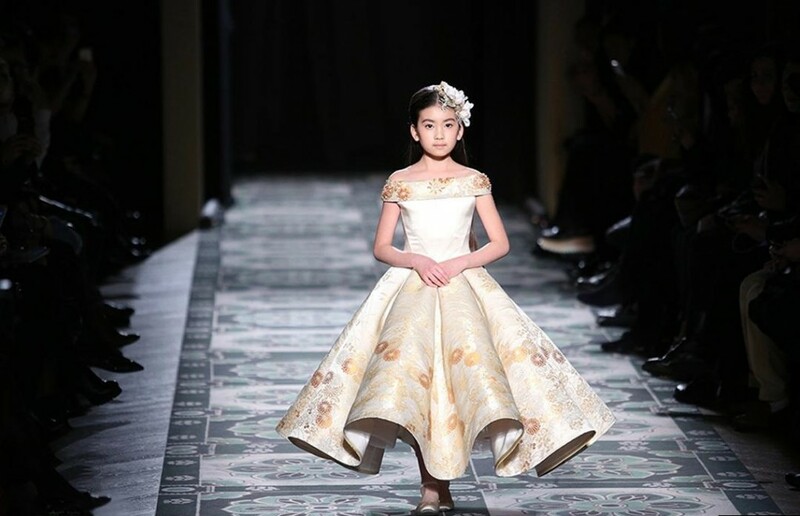 Recently, a nine-year-old Chinese model named Xiuqiu debuted in the Paris Fashion Week and became the highlight of the show. On January 26th, fashionable professionals from all over the world gathered in the Paris Haute Couture Week. Xiuqiu appeared as the opening guest and her professional catwalk made her become the focus of the show. Xiuqiu worn a brocade dress appeared elegantly and was clam when she faced to hundreds of guests and a dozen units of cameras. Xiuqiu has been to the Paris Fasion Week for twice and in both time she was the special opening guest. 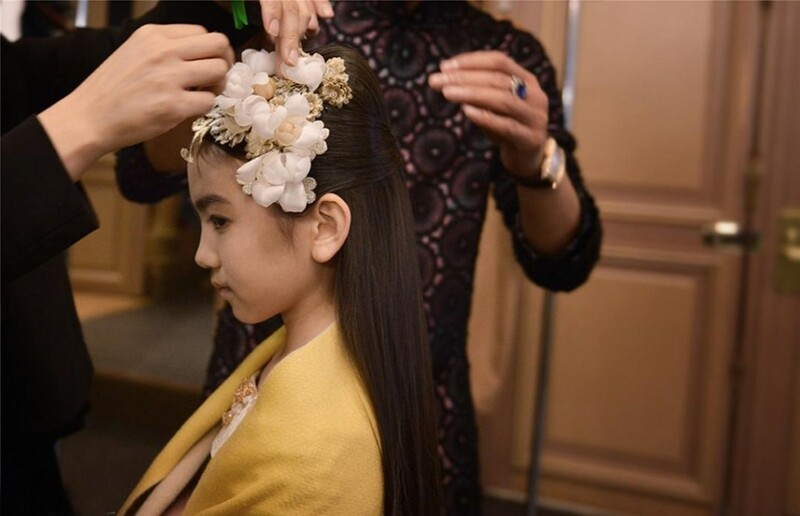 She has been the youngest model in China who appeared in the Paris Haute Couture Fashion Week catwalk, while her parent was the famous designer Lawrence Xu. I think all of you will hope your children no matter boys or girls will be excellent from childhood. But it varies with different individuals. 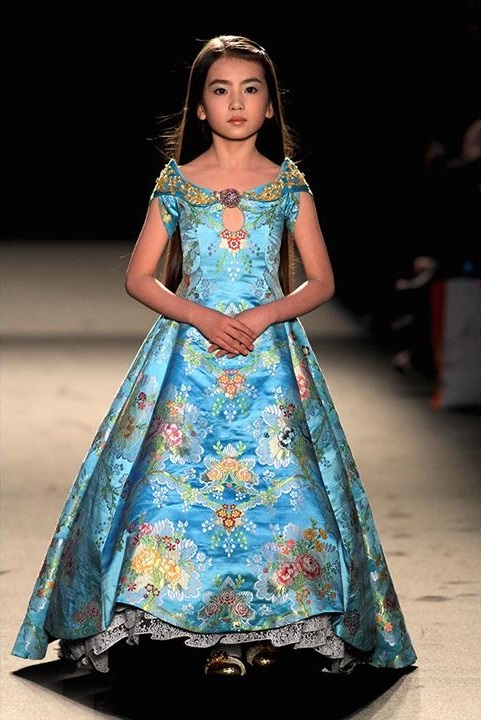 Parents would like to let their girls to wear baby and girls dresses to let them learn to be elegant and tender. Boys should learn to be a gentleman. But clothes cannot decide their behaviors and characteristics. Parents need to teach children good manners in different occasions. Your children will be loved by others. Although your children have a good manner, good at study and dress pretty children clothing, they may be a little weak that they don’t have a satisfied height. 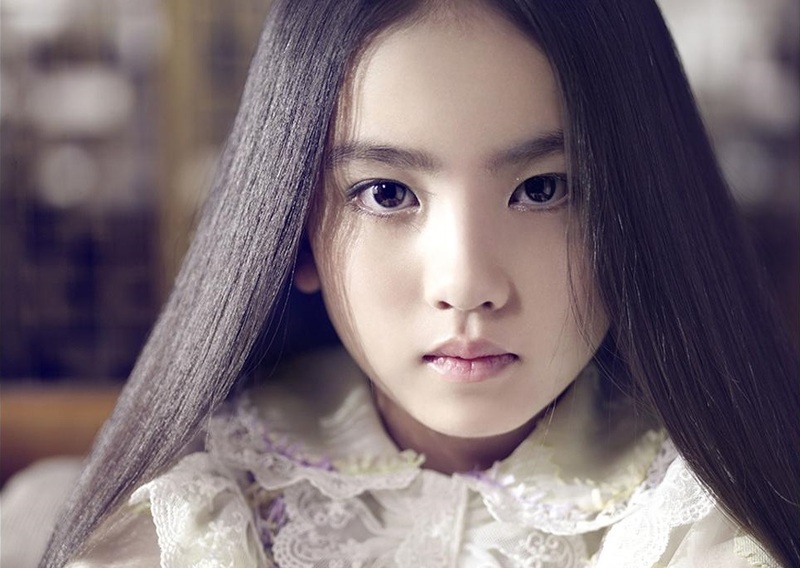 Xiuqiu is only nine years old but she looks like those in 14 years old. So what kind of food should we take into the diet? First, children should not eat too much snacks, sugar and carbonated drinks. That may reduce the body’s absorption of calcium and hinder children to grow taller. Eat more fish that is rich in protein and will make children smarter. To add calcium, children do not need to eat calcium. Just need to eat tofu, drink milk and soy milk which full of calcium. I love babies. Babies are always cute and warm. I always think that babies are worthiest to be cherished. Do you love kids? Do you have your sweet babies? If you do so, I am glad to know you and share the interesting babies’ stories with you from each other.